1. My First Book of Questions and Answers by Carine MacKenzie. 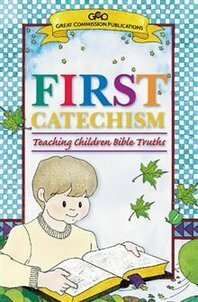 Carine's catechism was one of the very first catechisms I was exposed to in children's ministry, and it is the first one we used with our children. It's based on the Westminster Shorter catechism and Willison's Mother's Catechism. I'm thankful for Carine's heart for teaching the deep truths of the faith to kids and her ministry through Christian Focus Publications. 2. New City Catechism by Tim Keller and Sam Shammas. This is a joint adult and children's catechism consisting of 52 questions and answers adapted from the Reformation catechisms. The New City Catechism is completely free and has truly excellent web-based tools and a great iPad app study. Each question and answer has an adult version and a child's version. And each is paired with a commentary, video, and prayer. 3. The North Star Catechism by Daniel Montgomery and Jared Kennedy. The goal of The North Star Catechism is to be a faithful guide for the next generation. It adopts the basic framework of the classic evangelical catechisms--beginning with a summary of the gospel, reviewing the Ten Commandments and ending with the Lord's Prayer. But it is different. Our catechism (yes, this is a shameless plug for a tool I've worked on myself) sets the traditional doctrinal content within a missional framework - focussing on how the whole gospel shapes the whole church for holistic mission in the world. Follow the links to find a free PDF download as well as flash cards and Scout books for purchase. 4. 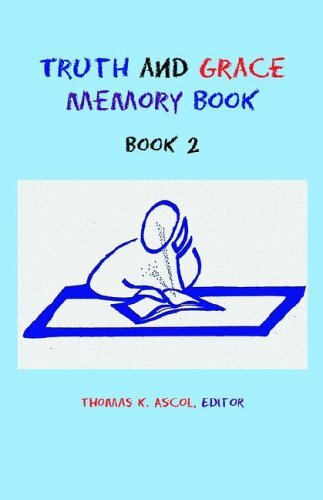 Truth and Grace Memory Books by Thomas K. Ascol. I'm a big fan of Ascol's age-graded set of memory books that teaches children and students the Catechism for Boys and Girls, the Heidelberg Catechism as well some of the most important Bible verses and old hymns for memory. For those who really enjoy learning Heidelberg Catechism, you should also pick up Kevin DeYoung's excellent devotional, The Good News We Almost Forgot. 5. First Catechism by Great Commission Publications. 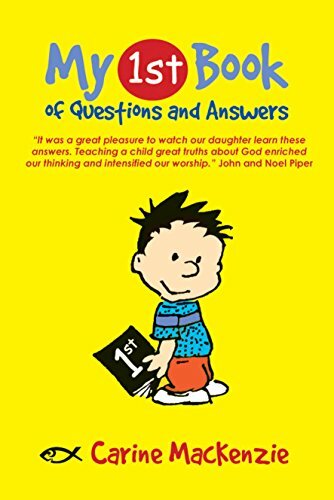 For those who are from a Presbyterian background, I should mention this excellent version of the Catechism for Young Children and the accompanying devotional, Big Truths for Little Kids by Susan and Richie Hunt. GCP is one of my favorite publishers of children's literature, because I think they really understand a holistic view of Christian education. And they've done an incredible job with their catechism material. While I'm doctrinally Baptist, I reference their simple teaching tools for young children often. What are your favorite tools for teaching catechism? Leave a comment below and let us know.